Good soil provides all the basic needs for healthy plant growth. While each type of plant has its own soil preferences, there are basics that apply to nearly all plant varieties. 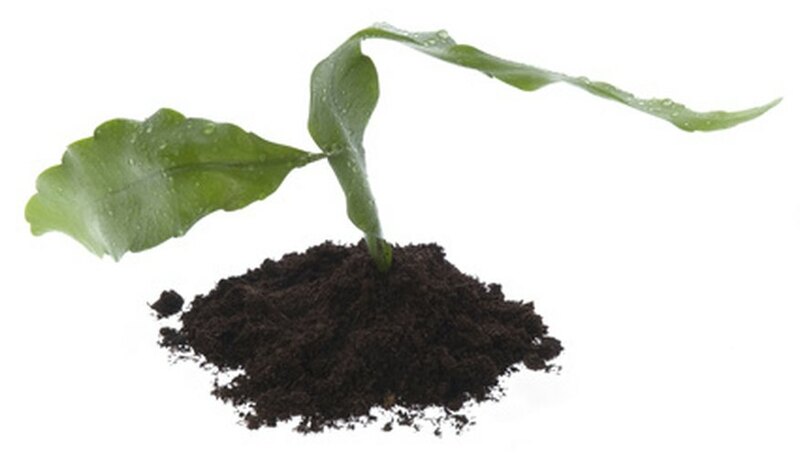 Soil not only supports the plant, it also provides the nutrients and moisture required for plant growth. Healthy soils retain enough water to remain moist but drain well enough so they don't easily become soggy. Soil classifications include clay, sand or loam, with loam being a healthy, well-drained soil. Clay soils are compact and do not drain well, while sandy soils drain too quickly and cannot hold moisture or nutrients. Soil amendments such as compost, peat moss and manure improve the quality and drainage of both clay and sandy soils. Plants deplete the natural nutrients in the soil, so adding nutrients back in on a regular schedule is necessary to maintain soil quality. Organic amendments including compost and manure add some nutrients back into the soil, but additional fertilizer may be necessary. Plants primarily require nitrogen, phosphorus and potassium to grow well. Nitrogen is supplied either through fertilizer or from the breakdown of plant matter such as grass clippings. Phosphorus must be added into soils that are low in it, as it is produced by natural mineral deposits. Potassium is provided by compost and manure amendments, as well as from fertilizer. Soil pH indicates the level of acidity or alkalinity in the soil. Most plants grow best in soils with a pH between 6.0 to 6.8, according the Iowa State University Extension. Alkaline soils have a pH above 7.1 while acidic soil pH is below 7.0. Dolomitic lime helps raise the pH of acid soils, while sulfur helps lower the pH of alkaline soils. A soil test, available from garden centers and county extension offices, helps determine the pH of your garden soil and provides guidelines for raising or lowering it.